Illustrated by Mies van Hout. 26 p., Front Street Lemniscaat, 2006. Fearful children might not be aware of their internal resources. Such is the case for Ben, who thinks of himself as a coward because he doesn't assert himself, feels self-conscious, and fears spooks under his bed. Because he thinks he needs help - magical help - he makes an appointment with a magic tree. The tree tells him that it's in a scary forest, but that the creepy creatures there are harmless. So when Ben meets a dragon, a spider bigger than he is, and a witch on his way to his appointment, he asserts his right to be in the forest, and to his surprise, each creature responds cordially. When he finally reaches the tree, he tells Ben that he is already less afraid. Ben happily realizes that he can do all the things he'd originally thought he couldn't do. 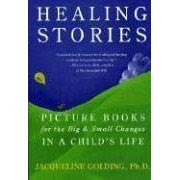 Illustrated with beautiful pastel art, this story shows children how to find and make use of the courage inside them.